You might be asking why anyone would need professional residential cleaning services? After all, it’s just a house. It won’t take too long! Indeed, it won’t if you do it every day. But do you have the time and enough energy to do it? Well, those are some of the questions that you might want to consider when you plan to hire cleaners to clean your house. If you’re busy working all day, cleaning will never be your top priority. And the thought of hiring a professional reliable cleaner is the best thing to do. However, the thought of hiring them might give you doubts. Why? Well, because of some misconceptions about what a house cleaner is like. It’s a fact that popular culture from Shakespeare up today has had a lot of fun distorting the image of the maids or the cleaners. And those long-standing stereotypes should not make a homeowner hesitant to take advantage of one of the most universally useful home cleaning services available. And to clear your doubts, we’ve listed the most common misconceptions and how should you deal with it. Misconception #1: You can’t have a stranger enter your home to clean. They might steal your stuff! Top misconception reason for not hiring a home cleaner is concerning about theft. Well, we understand! Your stuff is important and valuable to you. However, choosing a professional residential cleaning services company with excellent reputation in the community and has a long history in the business could help you put these fears to rest. In fact, using a reputable clean-up services offers more protection for the homeowner than hiring independent cleaners. So, make sure to ask if the workers are background checked, licensed, and insured to protect you against damages and theft. And when getting the kind of service again, make sure to request the same cleaner to come to your home. In this way, you don’t have to adjust every time you get a cleaner. Also, if you opt to allow your cleaners to work when you’re not at home, be sure the house key you leave for them is clearly marked “Do Not Duplicate”. And if you use a security system, provide your cleaner with an entry code that is used only by him or her. Additionally, be sure to check things before and after the cleaners have left. Report to the manager immediately if anything is missing. They will ensure that everything will be settled the soonest time possible. This is just one of the many reasons for getting professional residential cleaning services as your partner. Misconception #2: They’ll snoop through all my things. My whole neighbourhood might hear about my secrets! Inviting any service person into your home to work requires a small compromise of privacy. However, most home clean-up services company employ professionals which means their primary job is to clean well and quick. And most of them will pay little attention to your personal items, which is none of their business. That being said, for your own peace of mind, you can opt to make certain rooms off-limits. Store any personal items in that space when your house is scheduled for a clean-up drive. 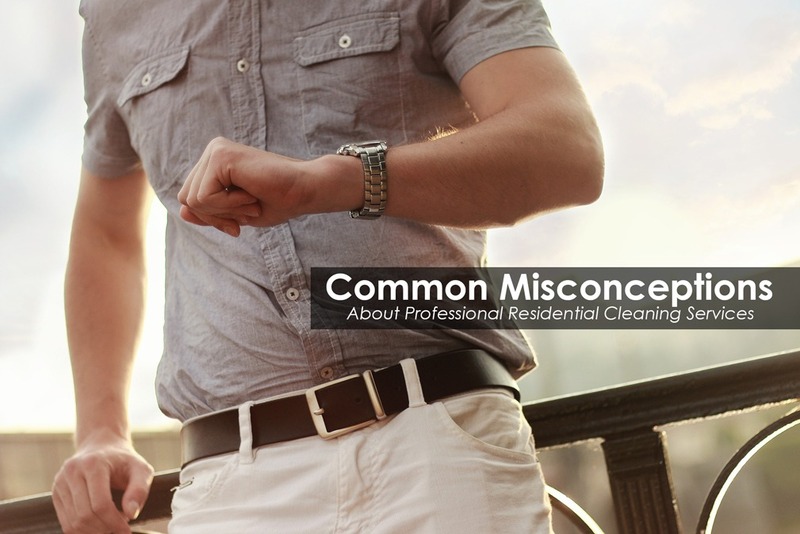 Misconception #3: Hiring Professional Residential Cleaning Services are for lazy people. One of the biggest misconceptions of hiring a home cleaner is that the service is extravagant. And that they are being lazy or spoiled. It’s not that extravagant though, most people don’t have time for it especially when you have a busy schedule. Hence, hiring a clean-up service can be an absolute must. And the cost is worth every penny of it. Well, letting go of some of the household chores could allow busy homeowners to find some quality time with their families. Hiring professional residential cleaning services company isn’t a waste of money. When it gives you back the time to take care of your family and yourself, it’s worth it. In today’s trend, there are varieties of clean-up programs or packages available that you could choose from. And for sure there are numbers of local house cleaning service that fits your lifestyle, budget, and your comfort level. You just need to take do proper research to choose the best one for you. Ready to look for a cleaning service company? Well, you don’t need to go far! Maid in Perth has the best solution for your needs. Call us today for more detail and we’ll be happy to help. Check our variety of services and see which one is right for you. Also, check our article House Cleaning Tips 101: How to Stop Allergies, and make sure to clean your home thoroughly with the help of these helpful tips, and protect your family!